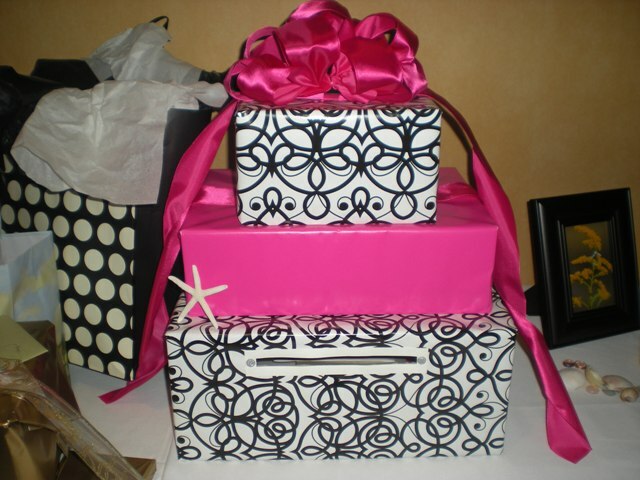 Guests may bring cards instead of a gift so it is a good idea to have a secure central location for those cards. Some may contain money or gift cards. 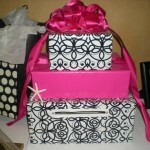 Card boxes can be bought at a arts and craft store, you can create your own or use something you already have. The wire decorative bird cages make a good card holder, too.